I keep feeling like I am not getting much riding time in, but when I look back at my calendar… I have been fairly consistant with activity. However, I just haven’t gotten in any long endurance time. Most of my time is 1 hour or less and quite a bit of it is fairly low intensity. The problem is that the low intensity is not long enough durations to make a big impact on my endurance. That being said, it’s still beneficial as I’m keeping my legs spinning and I’m active. I’m busy and on my feet all day long, so I am building some endurance into my legs that way as well. You can see from my calendar that I didn’t plan my workouts ahead, except for 1. It’s not that I wasn’t planning ahead… I had some plan, I just haven’t had the time to get my own stuff into Training Peaks ahead of time. I do usually go into the week with an idea of what I’m targeting to accomplish though. 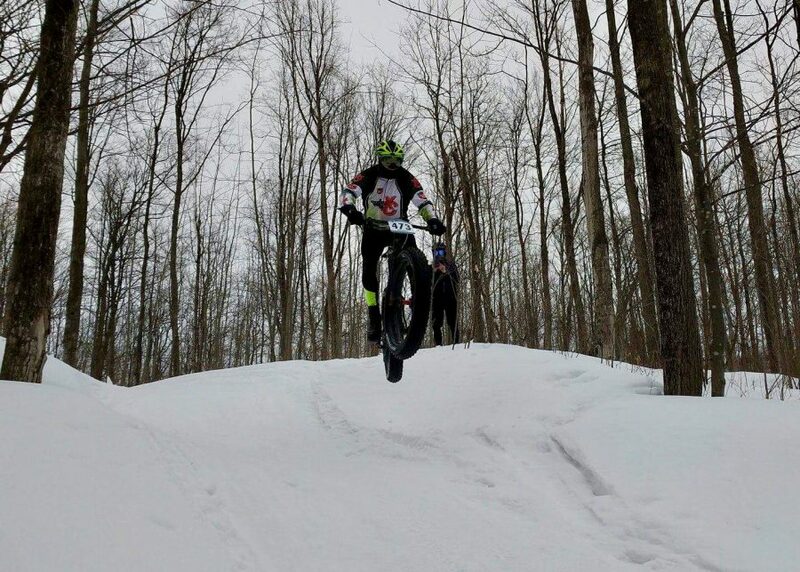 I think I’ve carried a lot of fitness through this winter because of a little bit of the skiing and mainly getting out on the fat bike more often this winter. I did a much better job this winter of managing myself and have avoided getting sick. I started some running in March and probably some more discussion to come on it in April. My fitness it really good right now and I’ll need to be careful with the running… When I start running; I feel like I could run all day from a cardio standpoint which will or has already gotten me in trouble on 2 of the runs. My cardio will basically allow me to outrun what my knees can currently handle from an impact standpoint. I’ll need to be careful on my ramp up. I’ll need to manage my ramp up slowly or I may overdue what my knees are ready to handle, even though cardio is good and ready. I am messy on the skis and my historical lack of coordination definitely shows through on the skis as well. At anyrate, I did pre-order a new set of skis for next year with our Pre-Season ski order at Cyclova from Madshus. Side Note… We put in a big pre order of skis for next year at Cyclova and will be a full ski shop next winter. Bring on the snow! Very few recreational skiers show up to small ski races… I got my tail kicked in the ski portion of the duathlon. It’s pretty much been random push-ups and pullups for me and I’ve fallen out of a regular routine. Same story… I’m heavy and need to cut some weight before the summer. I’d say I’m about 8 to 10 lbs heavier than I want to be. I’m actually the heaviest I’ve been in a few years, which is about 160 – 162 lbs. That being said, I’m still focused on getting stronger on the bike and I’ll error on the side of making sure I’m fueled vs not being fueled enough. Well, this is a tough one… I really wanted to hit a couple road races in late April or even had some big throughts about ripping down south for the Cohutta 100 at the end of the month. Right now, I’m not sure any of it is going to happen. I’m pretty swamped with the ownership transition at the shop. I finally got a new podcast episode out in March and I think it turned out well. 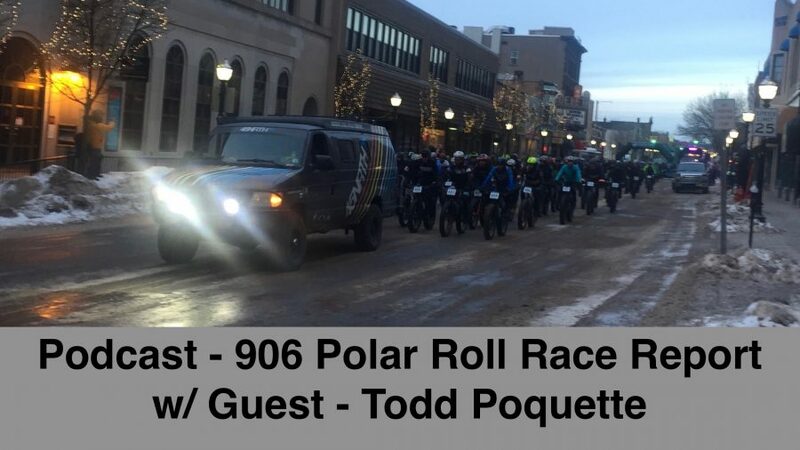 I had guest Todd Poquette on to talk about the 906 Polar Roll and then recapped my race report all in the same show. You’ve probably figured this out by now, but expect these podcasts to be few and far between for the time being until I get my feet under me, with my new endeavor of bike shop ownership. No new gear updates in the month of March, but I will have some stuff to talk about after April with a new road bike… Trek Emonda SL 6 Disc! The shop is still taking up a ton of my time right now… We’ve brought in a couple rounds of new bikes and are remodeling the shop. We’ve also started bringing in some new product as well, across the board with helmets, Garmins, accessories, gloves, shoes, etc… I’ve had some late nights at the shop, even with the family. I’ve got a picture somewhere of my son that had fallen asleep on my office floor at the shop at 2 or 3 in the morning one weekend night while we were there late doing some painting. Lots of work, but we’ve had some good feedback from folks.